At Slicktext.com, we pride ourselves on a loaded list of SMS marketing features. We’re constantly on the path to greater innovation, and as a result, provide our users with a top of the line experience. SMS marketing is more than just back and forth texting. Instead, it’s a personable and customizable mobile communication tactic that taps into the media preferences of the new generation. 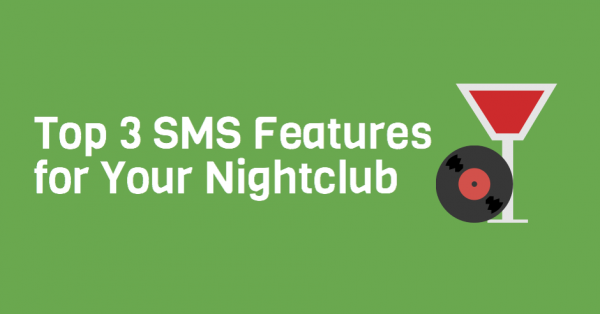 If you manage marketing for a hot nightclub, give these three SMS features a try. Although there’s no limit to the number of features you can use, the ones listed below are an absolute necessity. In our humble opinion, this is the most important SMS marketing feature for nightclubs. Make sure all patrons are of age. Obviously, this shouldn’t be your only gatekeeping method, as checking ID is still a necessary requirement. But, in addition, throw age restriction in the mix. This can also help you segment 18+ from 21+. As a nightclub, you’re most likely marketing to millennials. Keeping that in mind, it’s important to remember the highly social nature of this generation. Post every SMS campaign to Facebook using our social integration feature. But remember, don’t give away the actual offer. Instead, encourage fans to join your SMS marketing list and instantly redeem exclusive deals. Pictures speak a thousand words. Tons of popular nightclubs employ an on call photographer to capture candid event shots. Fire these same images out to your SMS marketing list. Don’t overload subscribers with tons of photos. Instead pick the top two or three, and fire out one a week with an accompanying mobile coupon code. Partner up with top SMS marketing provider, Slicktext.com. Give us a call today at 1.800.688.6290 to sign up for your free plan. We offer a feature rich platform that caters to small business owners nationwide.